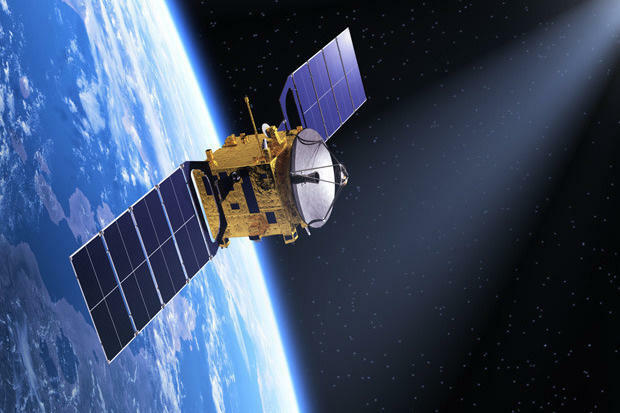 Azerbaijan National Academy of Sciences (ANAS) and Azercosmos may establish cooperation aimed at the production of new gamma-ray detectors and ionizing particles based on micro-pixel silicon optic amplifiers for small satellites, Vice-President of ANAS, academician Ibrahim Guliyev said on July 26. He made the remarks at the meeting of the ANAS Strategic Research Center (SRC) and Azercosmos, which was also attended by Head of the SRC, doctor of political science Fatali Abdullayev, Azercosmos Chairman Rashad Nabiyev, as well as representatives of the ANAS Institute of Radiation Problems and the National Aviation Academy. During the meeting, head of the SRC laboratory, Ph.D. in physics Farid Ahmadov said in his presentation that new samples of MSFD photodiodes were produced at the NanoFab Center in South Korea in 2015-2016 on the basis of the device proposed by the SRC. He noted that having compared these photodiodes with the latest products of the Japanese company Hamamatsu, experts recognized their advantage. Some research centers and production companies of foreign countries showed an interest in the photodiodes. Ahmadov further listed the requirements necessary for the manufacture of ionizing radiation detectors based on these photodiodes and spoke about the applications of MSFD photodiodes. Stressing the strategic importance of the project, Abdullayev said it is necessary to reconsider the issues related to its implementation and to focus on establishing relations with companies within the project. Nabiyev, in turn, stressed the need to support research in this area and added that it is important to study experience of ANAS in this field.